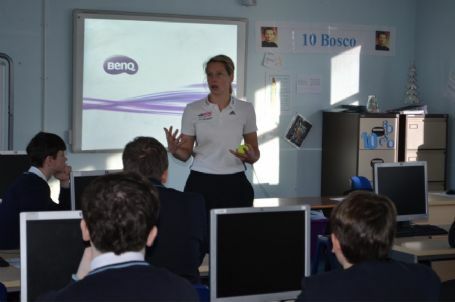 Students from Savio Salesian College were treated to an inspirational visit from female sporting legend – Rachel Brown-Finnis (former International Footballer and 2012 GB Olympian). Rachel held Year 7 in awe as she shared her story of how her career has developed, the obstacles that she has overcome and the amazing opportunities she has experienced thanks to her drive and determination. Each student has the ability to attain their goals and aspire high if they can believe in themselves, prioritise their time and be willing to make sacrifices to reach their target. 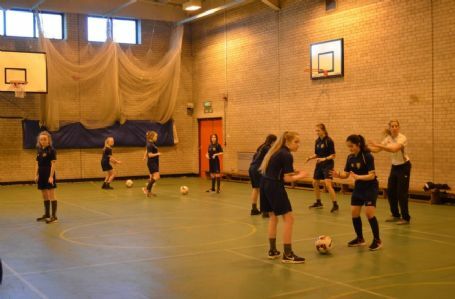 The Year 10 GCSE group were able to put their theoretical knowledge to the test with Rachel as they studied different training methods and how they can be used in a footballers programme. 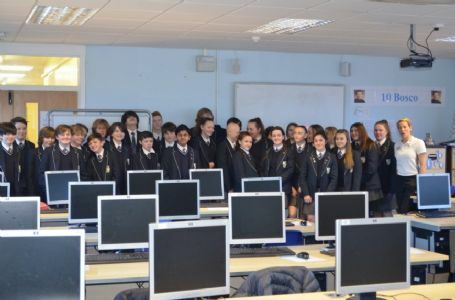 All the students found this extremely worthwhile as they further embedded their knowledge. 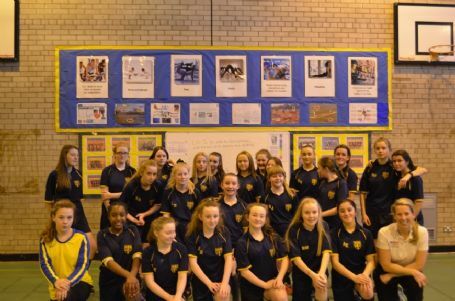 Our future Sports Leaders were able to learn about the six steps towards success and how they will develop their skills and attributes towards qualifying as Sports Leaders. They will become positive role models and ambassadors for Savio Salesian College. These valuable life skills will also help them with future career choices. Our girl’s football teams were treated to a masterclass in goalkeeping techniques. This inspirational session saw our students’ exhibit great enthusiasm and humour as they thoroughly enjoyed the session. 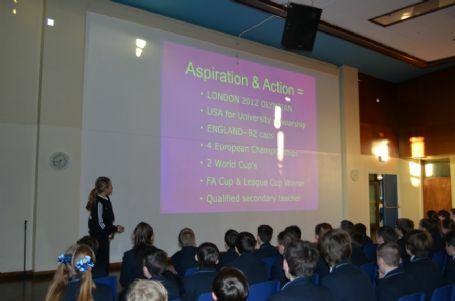 Miss Bousfield will no doubt reap the rewards as there were many students keen to enrol for the representative sides. Savio Salesian College are indebted to Rachel for giving her time and inspiring our students to aspire high. 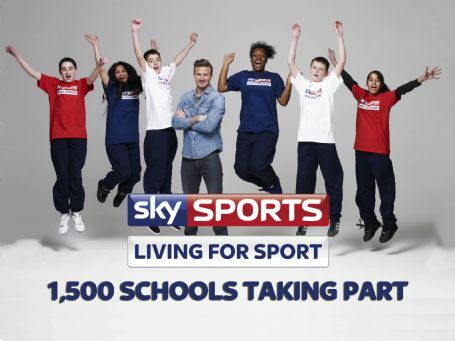 We are looking forward to welcoming Rachel again as she puts our Sports leaders through their paces.